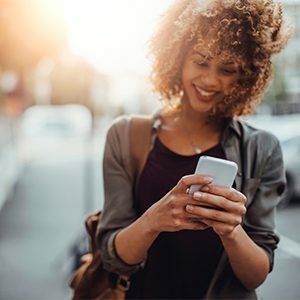 Technology has dramatically blurred the line between the digital and offline worlds; we can do almost anything online these days, ranging from ordering groceries to exploring Africa to attending college. However, one of the points of debate across nearly all fields is how the online experience compares to the parallel offline one; this has been especially true in online degree programs: Can online degrees provide the same value as their face-to-face counterparts? The challenge of engaging and preparing students is two-fold for online degree programs. They need to cover the same key topics and transfer the same volume of knowledge as their on-ground counterparts. However, another part of the attraction of top MBA programs is that they not only develop students’ business acumen, they facilitate long-lasting connections that can lead to career opportunities and professional connections. That level of engagement presents a much bigger obstacle than catching someone’s attention long enough to complete a simple e-commerce transaction. One of the things that makes a great online MBA successful is technology. Of course, if it were just an issue of investing in the latest and greatest tech solutions, every university would have successful digital learning programs. Further complicating things is the boom in technology built to solve this problem; which solution is best for the online classroom, and which will help build skills that will carry over into students’ careers. After looking at some of the technology decisions at the University of Southern California’s Online MBA program, we found two major lessons for how to be successful with the kind of engagement these programs need to facilitate. It’s easy to see the concerns over rapid technology evolution, whether you consider this 2015 New York Times article about innovation happening too quickly for businesses to keep up, or William Smith’s Morley, in which he wrote that widely available news and faster travel options would destroy relaxation as we know it, in 1886. The technology we use will always be changing, whether it’s 1886 or 2186. One of the things that is hard to admit, though, is that the thinkers who said it would be impossible to keep up were right. Particularly at an organizational level, it really is impossible to stay current with every technology innovation that emerges. The difference between success and failure—in the virtual classroom and in global business—is how they adapt new technologies to their environments. One example of this in action comes from the University of Southern California’s Online MBA program. There are countless options for encouraging deeper collaboration and facilitating connections in an online setting, including a growing list of business collaboration tools as well as universities who opt to build their own social collaboration platforms. Sometimes, though, the answer is much simpler. One of the things that stood out from USC’s Online MBA is that, in addition to the classroom sessions and videoconferencing, students chat and connect over WhatsApp. One of the biggest lessons from this experience is the fact that, sometimes, the best solution for a given problem is something students or employees are already using; it just needs to be embraced in a way that supports desired outcomes. Why it Matters: Both businesses and universities may be reticent to allow important work and collaboration to exist outside of the platforms they control; and, there are certain instances (i.e. regulation) where allowing consumer-grade technology is a poor choice. However, embracing a student or employee-driven approach to collaboration is essential to making it work, particularly in a virtual setting. Rather than try to force students off the tool they’re comfortably using, USC can focus on smarter investments in other areas that are critical to online learning, like high quality video conferencing and learning management systems. It may seem counterintuitive at first, but the best strategies for utilizing technology don’t start by considering technology—they start by considering desired outcomes. If the goal is to facilitate the creation of real connections in a virtual space, using technology to enable this will need to feel natural and incorporate features that bring some of the same qualities of face-to-face interaction. For online MBAs, there is a second and critical part to solving this challenge: Increasing students’ familiarity with tools that they will need to use in their professional lives. For both businesses and higher education institutions, approaching this problem primarily from a technology perspective is the wrong approach. By thinking about desired outcomes, organizations can better guide their technology choices. For example, with software for videoconferencing, there are myriad options. From a purely technical standpoint, many schools might first consider a solution like Blackboard Collaborate or Canvas’ built-in conference tools because so many already have Blackboard or Canvas for their Learning Management Systems. 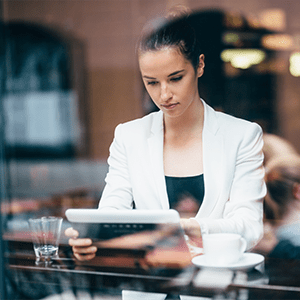 These platforms may be enough from a functional standpoint, but, for developing true connections in an online MBA, user experience is an even more critical element of software used for video and teleconferencing. Considerations like these led USC’s Online MBA program to leverage Zoom, a dedicated communications platform, for conferencing in addition to the Canvas LMS for facilitating learning. Zoom lets students see the instructor, as well as their fellow classmates on live video, making it closer to face-to-face interaction than many alternatives. It’s also easier to schedule meetings on short notice with the ability to send calendar invites, offering similarity to the spontaneous brainstorming sessions that might happen in a classroom or office. Why it Matters: The best solution for a given problem isn’t always the one that comes integrated with the rest of the software organizations already have. Especially for an online MBA, it’s also important to consider technology that has value beyond the classroom, as this will better equip students to succeed in their careers. The second component of this is to think about software that readily integrates with platforms people use in their daily lives anyway. Even if it is just the ability to send a meeting invite over Google Calendar, individual features can make the difference. The biggest result of USC’s smart use of technology is that students can and do form real connections that lead to face-to-face interaction. For example, many students organize meet-ups in their area, so that those who live away from campus can still participate in the Online MBA community. The deeper social connections, coupled with classroom learning and group discussions, also create unique opportunities that would not be as easily made without digital engagement. In USC’s case, one team of students in the recent cohort is planning to open their own business together. The Bottom Line: Universities have historically struggled to keep pace with technology adoption. Regardless of whether a program is online, offered on-campus or uses a hybrid approach, though, the best MBA programs will stay ahead of the curve by considering outcomes first and avoiding the temptation to innovate without a clear purpose. 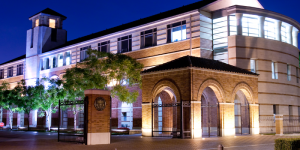 To learn more about the USC Marshall School of Business Online MBA, visit the Marshall website.